Research from Care England, the largest representative body for independent providers of adult social care, has shown that almost half of Brits (47%) have a holiday fund as opposed to only 3% that have a care home fund. Furthermore almost three quarters of Brits (73%) have no idea how much the average weekly cost of a room in residential care is and 56% of Brits have no idea as to whether they would be entitled to state funding for a stay in a care home. “This new research from Care England comes at a time when social care is high on the political agenda. It shows that we as a sector need to do more to inform the public and dispel the myths that have evolved. We hope that communities will engage with Care Home Open Day on Friday 16 June as a means to celebrate their connections with their local community”. Care Home Open Day takes place on Friday 16 June www.carehomeopenday.org.uk and it will focus on the importance of friendship thereby building on Care England’s research that 57% of people think that greater intervention with the local community can combat isolation. In addition, 6 in 10 people believe that making visiting hours more flexible would be helpful. Care Home Open Day is yet another opportunity for care homes to be positioned at the hub of the community. In 2017 Belmont Sandbanks Care Group MD Adam Hutchison became a board of trustees member for the Care Workers Charity - formerly the Care Workers Benevolent Fund. As part of this Belmont Sandbanks Care Group has become a Gold Supporter of the charity and the services in which it is supporting now and in future years. This is a fantastic charity which supports the basic welfare of current, former and retired care workers. There are nearly 2 million care workers in the UK, contributing to one of Britain’s largest workforces, and caring for some of the most vulnerable people in our society. Early starts, long hours, mentally draining work; it’s all part of the job. But add an injury, illness or other unforeseen circumstance and all but too easily things can take their toll, and push beyond financial limits. The good people of the care sector make a massive contribution to peoples everyday lives. 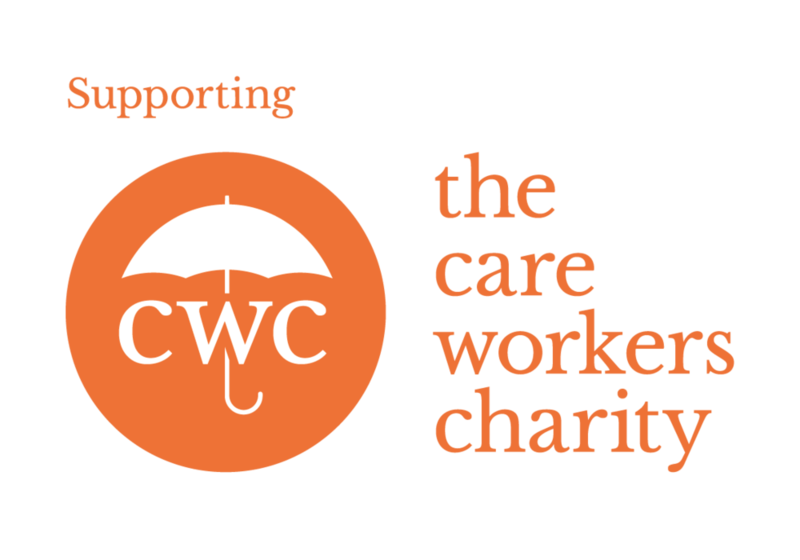 The Care Workers Charity helps current, former and retired workers on their rainy day. To view more information about The Care Workers Charity and its team, please visit the About Us page. Kent and East Sussex based Belmont Sandbanks Care Group, have recently been acknowledged for their excellent contribution to the local community in New Romney, Kent. The care provider focuses on support for vulnerable adults with Dementia and related community support schemes. These awards are focused on frontline staff members and not the businesses. This is about promoting fantastic community services which take place everyday in Kent and Medway. Having had 4 nominations in this year’s Kent Care Awards (www.kica.care), which took place on 7th October 2016 in Dover. Over 250 people attended the awards involved all care providers across Kent and Medway with the awards ceremony. Independent judging for the awards took place in Ashford in early September 2016. And finally Mary Kendall – Was the Winner of the Home Care Worker Award for Belmont Home Care Services in Romney Marsh and surrounding areas – this was for her overall contribution and Hardwork in supporting people in their own homes. Having only set up the service in the last 12 months due to the lack of availability for those in need in the Marsh and surrounding areas. By winning this awards Mary is now entered into the South East and London regional finals in London on 26th November 2016 with a chance to advance further to the national finals of the Great British Care Awards (www.care-awards.co.uk) which take place in the Spring of 2017. These national awards have been running for 8 years. We welcome the findings of the Carers Trust’s new report ‘Care Act for carers: One year on’. This shows that there are some carers who are getting good support under the Care Act, as well as some examples of good practice. It also shows what needs to improve. Too many carers were unaware of their rights. Practitioners need to understand that a carer’s right to support is independent of the person they care for. “I welcome this report and was very pleased to be invited to provide evidence. Support for carers is an important feature that CQC has to see in order to award a Good or Outstanding rating. The best services we see value the contribution that carers can make and proactively consider their needs as well as the needs of people using services. Get your best gown and tuxedo at the ready because the new annual Kent Care event is here… The 1st Annual Care Awards will take place in 2016 to celebrate the work carried out in our great Care sector in Kent. This is a chance to reward the people you work with, work for you or simply people you know in the sector who have been superheroes and delivered something awesome this year and every year. As Care businesses in Kent this is our opportunity to reward those that really matter – so lets celebrate the successes of our staff and grow our appreciation for the work they do for in this sector. This is the 1st of Annual Kent Care Awards were we all will celebrate the care sector in this great county of Kent and have an evening to remember. The Executive Board at KiCA want to hear your nominations for all the awards that will be given out to celebrate great care work in Kent. Your votes truly count and it is important we all engage to build on a successful year so far. The judging of the awards will take place on 8th September 2016 with a plethora of independent selected judges from the sector. The deadline for nominations is 31st August 2016 so get them in now on our nominations page is live RIGHT HERE! So please go to our nominations page and make your nominations NOW! Let the celebrations begin as the winners will be announced at the 1st Annual Kent Care Awards Gala Evening – Get out your best gown and black tie for the gents – as we are going to celebrate our sector in Kent in Style. The Awards Gala will be held on Friday 7th October 2016 starting at 7.00pm. We hope you invite your teams and your nominees from your businesses as this is their night and an evening for us all to get together and enjoy the great work we all do for the care sector in Kent. Your Tables include the evening festivities, Food (Buffet Style), Awards & Late night DJ through to 1am. With prize draws and charity donations. For more information or details on the nominations process, the evening or is you wish to get involved with organisation and sponsorship contact us on marketing@kica.care - all queres and questions are welcome. We hope to see you all there we hope it will be a night to remember and the beginning of a special event which will run year on year. Our thanks form all the KiCA Executive Board. KiCA’s New media sponsor check for information and content on the sector in partnership with the KiCA & the Care Association Alliance. This week Director of Belmont Sandbanks Care Group - Adam Hutchison discusses the care business and the Kent Integrated Care Alliance on the business bunker / Kent Business Radio on Channel Radio. Discussing working in the industry, the perception and the joys of working in the care sector. A blog by Dr Brian Sloan, a legal academic specialising in family and property law. In this blog, Brian comments on the delayed cap on care costs and cautioning against giving away your property prior to going in to care. The Care Act 2014 facilitates a cap on the amount that any one individual in England is expected to contribute towards his or her social care costs. This would be a contrast to the current situation, whereby someone with assets (sometimes including a home) of more than £23,250 can be expected to meet the full costs of care. In July 2015, however, the Government announced that the cap would be delayed until April 2020. 1 – the cap was to be set at the high level of £72,000 in April 2016. 2 – it was to cover only the cost of meeting ‘eligible needs’, broadly equivalent to ‘critical’ or ‘substantial’ needs under the pre-Act system, and not ‘low’ or ‘moderate’ ones, leaving much to depend on the outcome of local authority assessments. 3 – costs counting towards the cap were likely to be based on what it would cost the local authority to provide the relevant care, which may be below what an individual would pay for that care. 4 – the cap would exclude ‘general’ or ‘daily’ living costs in a care home, which were likely to be around £12,000 per year. Whatever the cap’s limitations, it would have left some people with more property to leave to their family and dependants, and might have reduced the risk that the social care system would impose an ‘individual and excessive burden’ in a particular case, breaching the European Convention on Human Rights’ protection of the right to peaceful enjoyment of possessions. The Local Government Association have said, however, that ‘local government funding will…be under enormous pressure in the coming years as Departments make…savings as part of the Government’s deficit reduction plan’, and any diminution in the funding entering the care system risks prejudicing those who cannot afford to pay for care. The significant continuing liability to pay for social care might tempt people to give away their property in anticipation of care costs. But, as I suggest in this paper, caution is required. Aside from the need to ensure that a potential care recipient keeps enough property to support him- or her-self, local authorities have wide powers to reverse the effect of disposals of property for the purpose of reducing liability to pay for care. They can do this either by deeming a care recipient still to have property of which he or she has deprived herself, or by pursuing the recipient of such property. While the Government’s guidance to local authorities considers it ‘unreasonable to decide that a person had disposed of an asset…to reduce…charges for their care…if at the time…they were fit and healthy’, this is not obvious from the legislation itself. If you are looking for ways to pay for your care costs, there is a useful guide here as to the alternative options to property you can consider. It remains to be seen whether and when the cap on care costs will be implemented. Even if it is given effect, however, it will not remove the controversy surrounding paying for social care in a context where health care is generally provided free at the point of delivery.